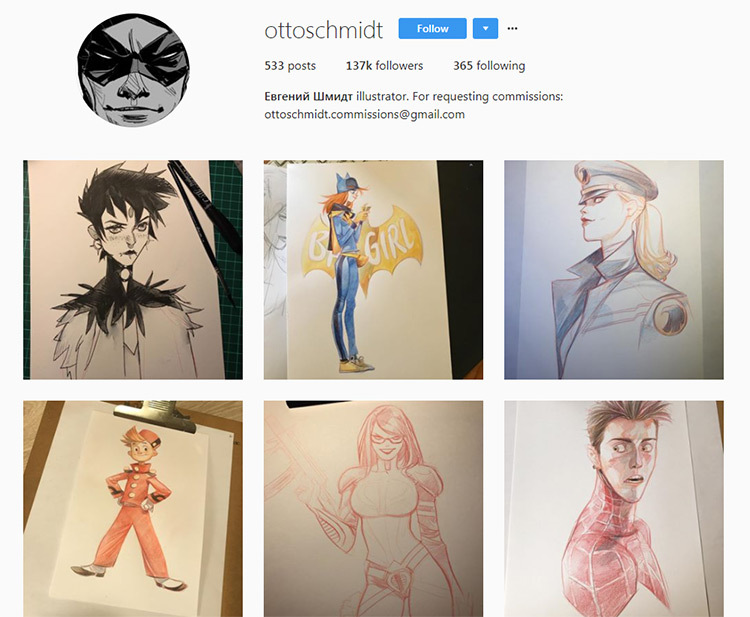 One of the best ways to spend time on Instagram is endlessly scrolling through all the great artwork of artists and illustrators from around the world. Matt Benson’s vector designs and illustrations are bright, colorful, and lots of fun. Many of his pieces are references to pop culture and television. He has a twitch channel where he creates most of the work seen on his Instagram. Tune in next time he goes live! 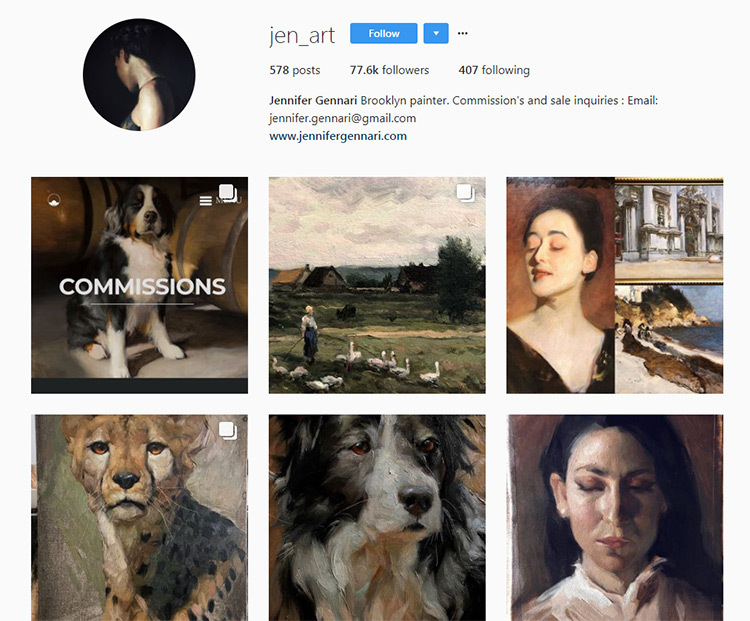 Jenifer is a traditional painter based in New York City that likes to fill her Instagram account with stunning oil portraits. Whether it’s dogs, people, or big cats, all of her paintings are masterfully done. If you like what you see on her account, she takes commissions through her website and email! Matt Smith is an instructor at the Watts Atelier in California and he definitely knows how to use a pencil. Much of the content he posts to Instagram is life studies with traditional mediums. These studies come in charcoal, graphite, or oil paint, and are an absolute treat to look at. Copying his work in your own sketchbook to practice would be a great way to learn! Siya Oum’s Intagram is filled to the gills with awesome DC Comics ink work. There’s such a broad range of characters to see here, each with their own story. Her pencil and ink work can teach a lot about line weight control, value, and the iconic comic book style. Another comic book artist Tom Hodges draws and inks awesome character designs from Star Wars, the Marvel universe, and others. Tom goes a step farther though, and brings his ink drawings to life in fully-rendered copic marker color. Send him a follow! 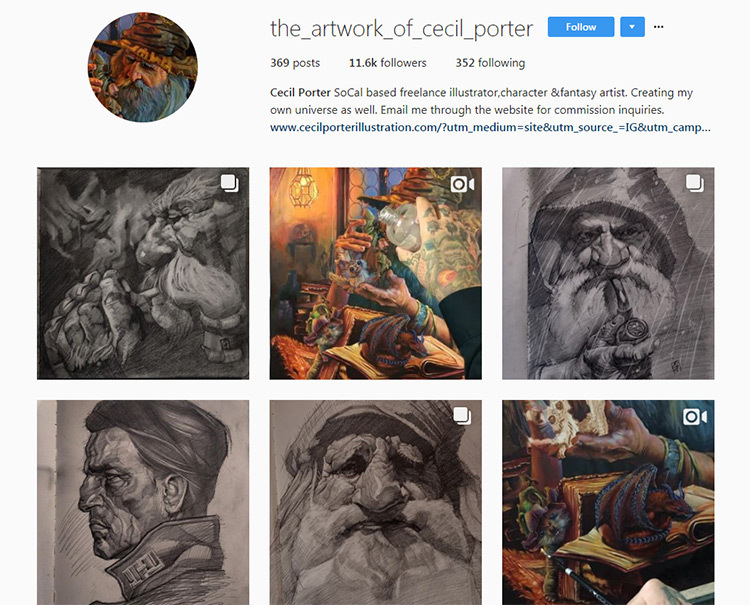 When you tap into Rudy’s Instagram account you’ll immediately see two distinct styles: hyper realistic fantasy illustrations and whimsical scans of ink drawings. His mastery of light and movement in both styles is amazing. And there’s a charming sense of humor in each piece that’ll leave you smiling. Tomas Honz’s plein air watercolor paintings of old architecture and sprawling landscapes aren’t incredibly flashy, but they are beautiful nonetheless. On his Instagram profile he describes himself as a wanderer and his work acts like a visual journal of the places he’s been. But this is the kinda work you have to see to really experience. Nicolas V Sanchez is a New Yorker with a passion for sketchbook illustrations. He carries his Moleskine wherever he goes filling it with perfectly colored and well-shaded drawings of whatever catches is attention. What’s even more impressive is that each drawing is done in colored ballpoint pen, which means no erasing! The amount of detail he’s able to achieve in such small pieces is simply astounding. Soey’s style can be easily described as soft, delicate, and beautiful. Her main subject matter is women draped in various costumes, fabrics, and props. Hints of influence from Asian cultures can be found in her paintings from time to time. She is an expert renderer in both graphite and oil paint. Otto Schmidt is an illustrator whose style covers several variations of the iconic graphic novel look. Mostly done in colored pencil, Otto’s portraits of well-known comic book heroes and villains are always fun to see. Adam is an artist for Disney and DreamWorks Studios and it’s obvious why! His Instagram account is full of fun cartoon characters drawn in ink that feature a very exaggerated style. Each of his funny little characters are sure to get a chuckle and a like. You can spend hours browsing through his profile. Claire Hummel is an artist who I’ve personally been following for a long time. Formerly an artist at HBO, she now works as the art director at Campo Santo. She especially likes to fill her Instagram with cowboys, dinosaurs, and gorgeous landscapes inspired by the American southwest. If you’re looking for a great artist to follow with a witty sense of humor, Claire’s the one for you. Aaron Horkey hails from the rural American Midwest. 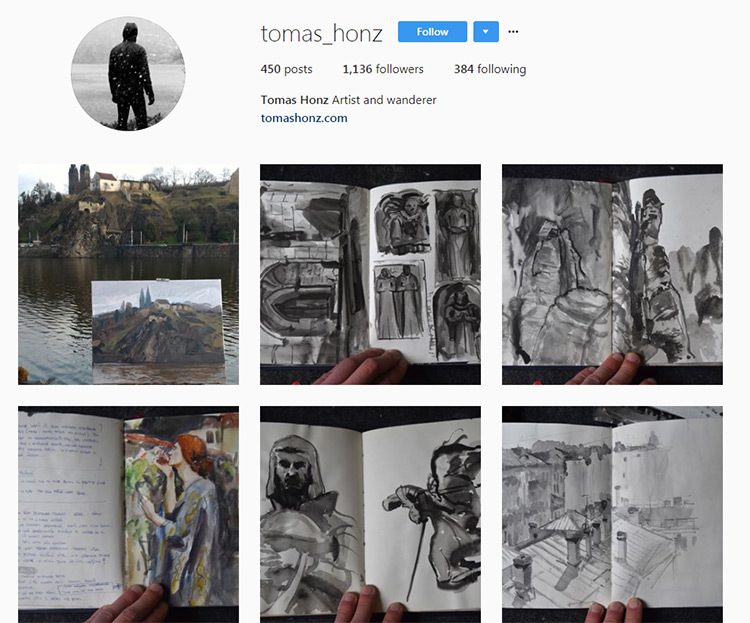 His Instagram is filled with hundreds of highly detailed ink drawings, one after another with so much creativity in each one. Some of these drawings are surreal, some have a darker feel, but all of them are so intricate you’ll have trouble believing they’re real. Karl Kopinski works as an artist for the Magic: The Gathering card game as an illustrator. 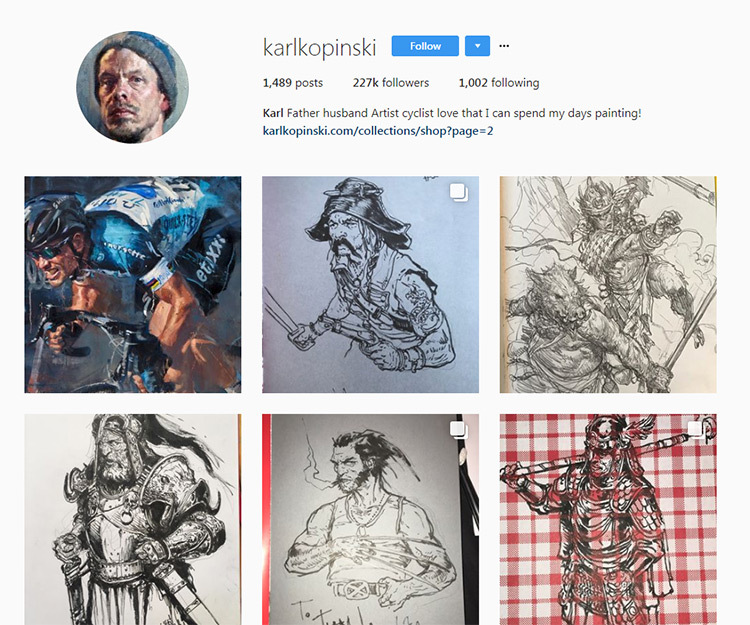 His Instagram account is absolutely full of fantastic images of monsters, knights, and wizards. 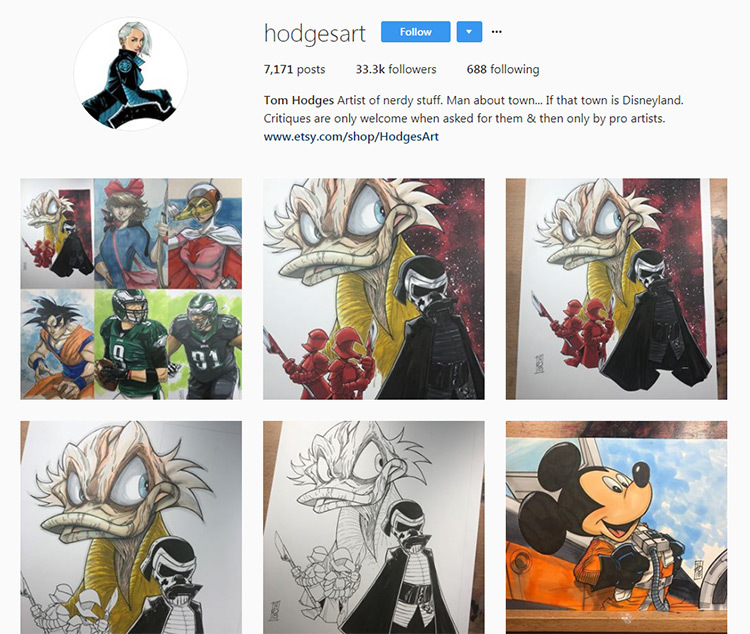 It’s a lot of fun to see his process from initial drawing to finished painting as he posts plenty of work including unfinished ideas and final pieces. With 390,000 followers on Instagram alone, Artgerm is an Internet giant. He specializes in graphic novel and anime-style character illustrations which you’ll find all over this profile. Some are done on paper with ink and some are done completely digitally. But all of his pieces are beautifully and realistically rendered. In stark contrast to the hyperrealistic artists we’ve listed before, Jeremy Collins simplifies things in his ink drawings. Lots of his work is inspired by his travels in nature, and each drawing is meticulously done to achieve the cleanest lines. Jeremy’s work has a real earthy feel to it as well. It’s a perfect reminder of the beauty of the great outdoors. 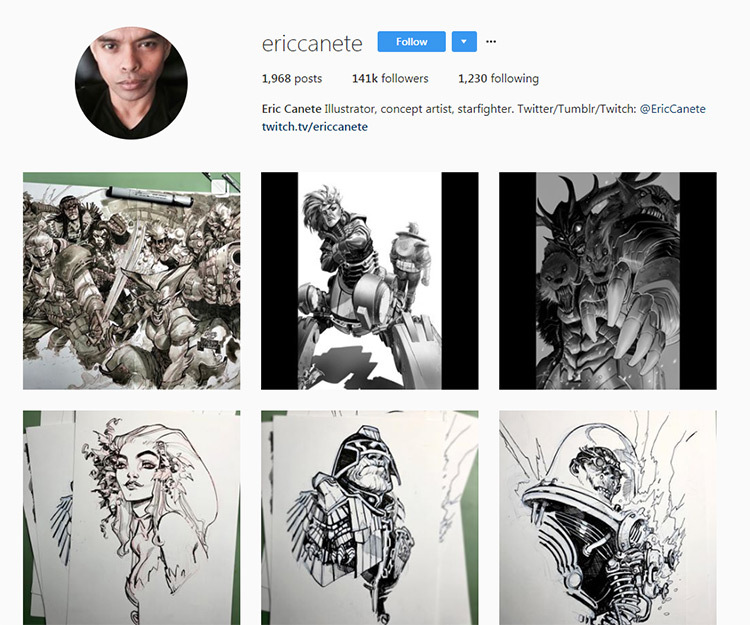 Eric Canete is a superb artist to follow on Instagram if you love to work with alcohol markers and ink. Lots of his work is based on the marvel universe and his drawing ability really makes them pop. He also has a livestream channel on Twitch you can check out if you’ve got the time. We’ve listed quite a few comic book artists in this article so far, but Jorge Jimenez’s pieces have to be the most dynamic yet. Jorge works for DC Comics and Warner Brothers so you’ll have a direct view into the DC universe if you follow him. You’ll notice all of his graphic novel illustrations are colorful, full of movement, and have an incredible sense of story and drama. Rafater’s work leans a little toward the concept art genre, but all of his work would be equally at home in a fantasy novel. You’ll notice all of his work is done beautifully on paper in graphite pencil and shows just what you can do with hours and hours of practice. If this doesn’t get you inspired then I don’t know what will. Yet another brilliant comic book artist, Matteo Scalera does stunning ink work for his Instagram account. These illustrations are so dramatic and well done that they really don’t even need color. Scalera brings his own style to life within the superhero world. And it works so well it’s almost scary! Max Grecke is still relatively young as far as professional artists go, but he’s just as talented as the rest of them. 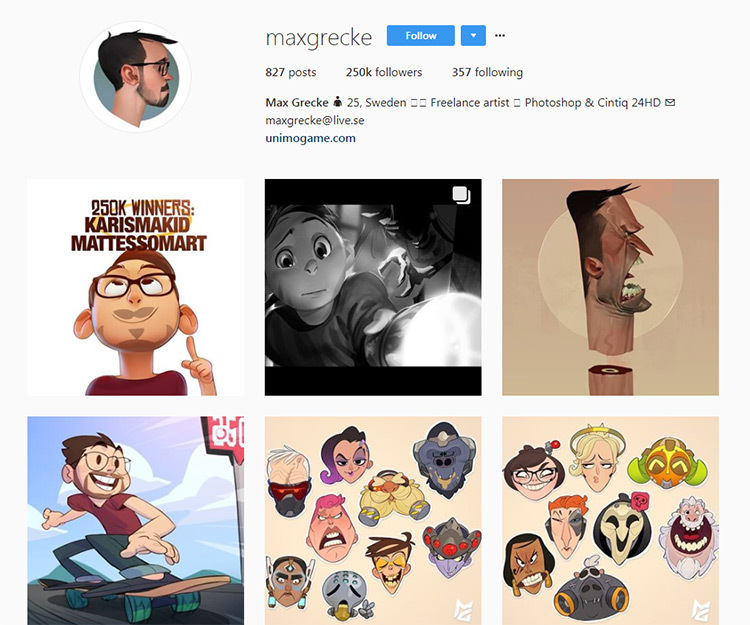 Max likes to fill his Instagram account with stylized character illustrations from Overwatch and well-known Nintendo characters and even zombies. You can’t miss out on his awesome illustrations. If you like dinosaurs and fantasy worlds, look no further than James Gurney. He’s the creator of Dinotopia, a world where dinosaurs live in a peaceful society together with humans. There are so many different characters to see in the world of Gurney’s own making, and it’s as close as you can get to a behind-the-scenes pass. Not to mention Gurney is a respected author of many imaginative art books making him a trustworthy name in the field. Dibujante is a master drawer when it comes to fantasy creatures and characters. Do you think dragons, zombie Batman, and chimeras are cool? Then you’ll feel compelled to give Dibujante a follow. Most of this artist’s pieces are done in pencil first and then inked with his iconic line work. Josan is another comic book artist with a style vastly different from Marvel or DC. Open up Josan’s account and you’ll be greeted by a sea of beautiful purples, blues and greens. He illustrates the world of “Future is Now”, a futuristic cyberpunk world with a little bit of inspiration from Bladerunner thrown in. Everything is such an amazing experience to look at… it’s easy to get lost in this work! Another one of my IG favorites is Sachin Teng. His illustrations are mostly all done in flat color, but his knowledge of color theory is so masterful that you don’t even notice. All the colors in each of Sachin’s illustrations have so much substance that it feels like you could just reach out and touch them. Definitely a must-follow in my book. Peter Mohrbacher is another Magic: The Gathering card illustrator and once you follow his account your feed will be inundated with beautiful fantasy illustrations. Planeswalkers, foreign celestial gods, and all-powerful angels are beautifully painted digitally and shared through his IG. Some of these pieces can even be purchased as prints on Peter’s website. Pascal is the Art Director at Ubisoft Montreal, the studio that produced games from the Far Cry and Assassin’s Creed series as well as Tom Clancy’s The Division. 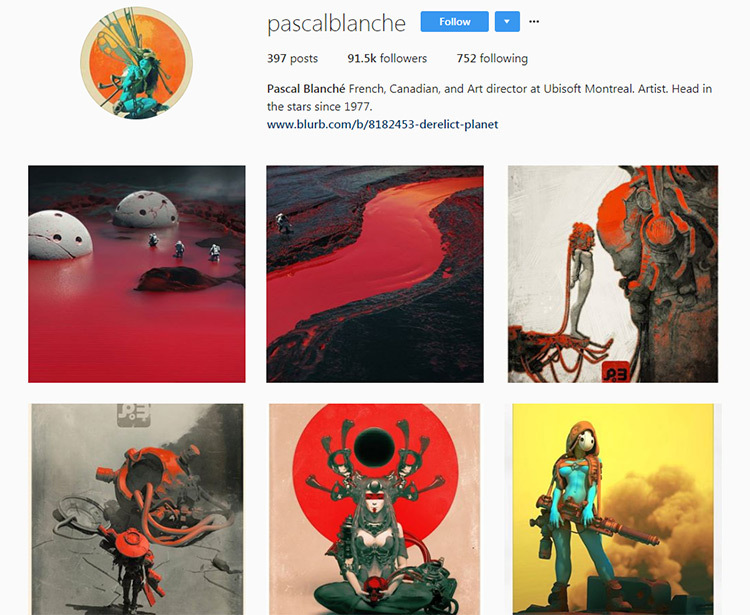 Unlike a lot of industry professionals, however, Pascal’s Instagram account is filled with his own art instead of promotional work for the titles he’s worked on. Full of unnaturally-colored fantasy and sci-fi paintings, Pascal’s art is a must-see. It’s easy to see where Ester’s passions are once you tap into her Instagram account. It’s filled with animals and pet portraits! Each portrait is beautifully done with a streaky, ethereal background that contrasts the subject animal in a great way. Make sure you drop her a follow if you’re into that. Jon’s work has been published in more than a couple graphic novel companies including DC and Dark Horse. Right now he’s working on a Star Wars adventures series in a much more fun, lighter-hearted art style than what you might normally see in comic books. Interested in classic Disney animation? Then you’ve gotta give Tom Bancroft a follow. He’s the artist that created and animated the dragon Mushu from Mulan and many more beloved characters. 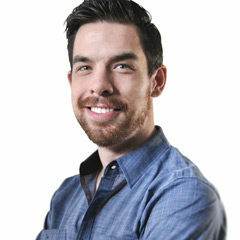 He also hosts an animation podcast and sometimes posts behind-the-scenes process pics used in popular animated movies. 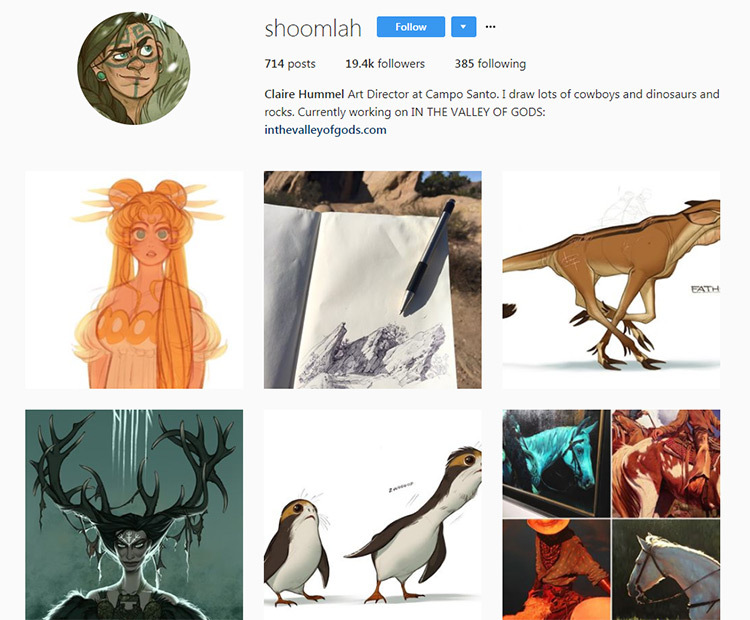 Definitely worth following if you’re an aspiring animator or storyboard artist. Miki is a Spanish artist who is constantly working on his own comic series about space smuggler-pirates. His character designs are original, gritty, and lots of fun. When he’s not posting work from his own stories you’ll find plenty of his figure studies from live models. Studying this work is a great way to learn about anatomy in the human body. It’s always good to have a loving dog in your life. And following @giulialibard is a great way to make that happen! This artist paints beautiful illustrations of not only dogs and canines, but all sorts of other furry friends too. If you send a message through Instagram you may even be able to commission an illustration of your own pet. Cecil Porters’ illustrations of fantasy characters are absolutely amazing. Whether it’s a sketchbook pencil illustration or a brilliantly colored oil painting, all of these images have an inherent charming quality to them. Cecil’s style is extremely appealing and definitely takes lots of inspiration from classic illustrators like Norman Rockwell and Frank Frazetta. Sterling Hundley is a stellar illustrator with a true passion for education. The Founder of the Legendeer art workshop, Sterling is a true believer of experiencing life for yourself as the main source of artistic inspiration. His illustrations have been published in plenty of major magazines and he is constantly experimenting with the process of making art. Jeffrey Love’s illustrations prove that you don’t have to follow detailed realism to be wildly successful. His illustrations utilize silhouette to the fullest, communicating the message of each illustration with very little detail. Jeffrey’s process is surprisingly hands-on for such simplified compositions. Yet his pieces often involve hours of work to achieve that perfect texture and stylish look he’s known for. Clayton Bontrager is a concept artist and visual designer with a passion for storytelling and entertainment design. He's currently working on Artemos, a personal project that may one day see the light of day as a comic series. Feel free to say hi! You can send a message through his website or follow him on ArtStation, Instagram, or Twitter.